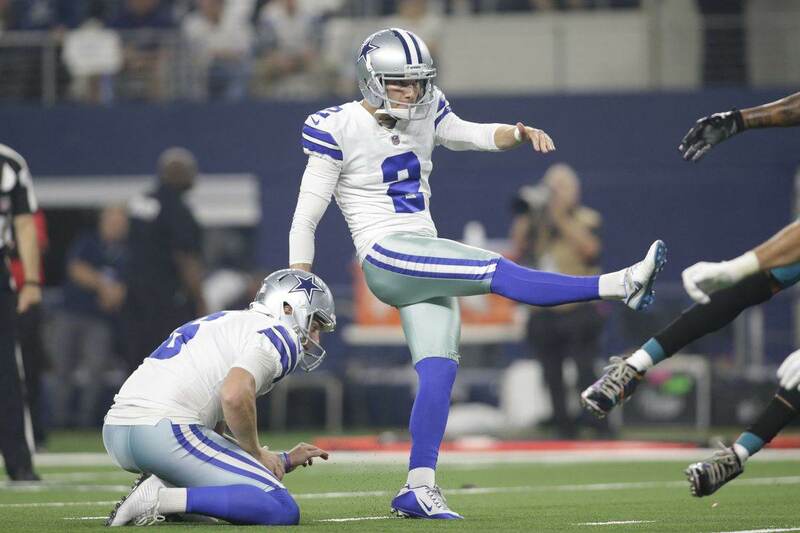 You might think that kicker is one position the Dallas Cowboys aren't worried about for 2019. 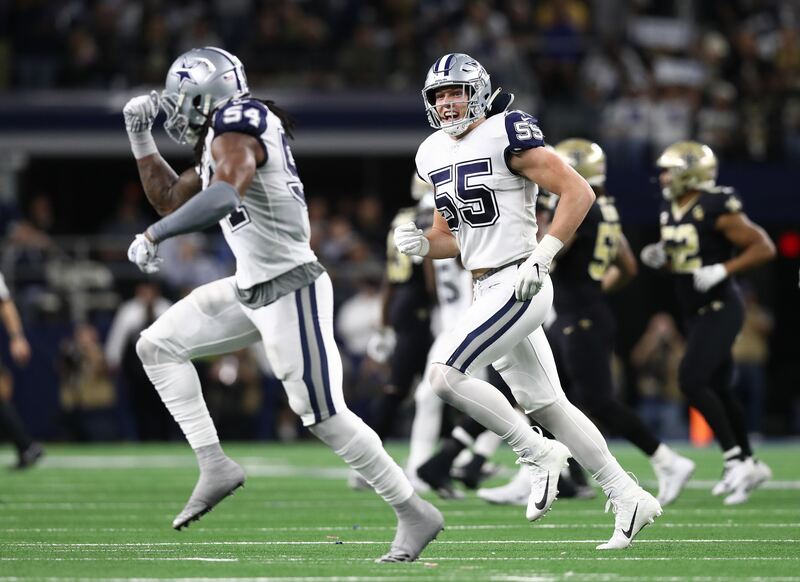 However, despite winning two Player of the Week awards and setting a new Dallas record for longest field goal, Brett Maher's performance in 2018 left plenty of room for improvement. When Maher was good last season, he was really good. After surprisingly replacing Dan Bailey as the team's kicker following the preseason, Brett missed his first kick of the year but then made the next 15. 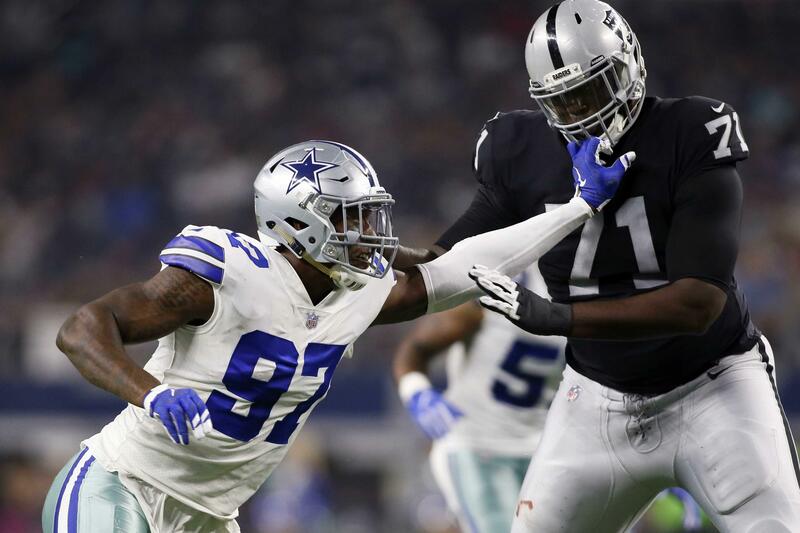 He went 4-for-4 in Dallas' win over the Detroit Lions, earning the first of his two awards. In December against Philadelphia, Maher hit a 62-yarder to set the new Cowboys record for distance. Two weeks later he hit a 59-yarder against Tampa Bay. But along the way, Brett also went just 6-of-8 in field goals ranging from 30-39 yards. He was only 7-of-11 in the 40s. He finished the year with a total accuracy of just 80.6%, ranked just 25th among NFL kickers. While there's no denying the intrigue of Maher's big leg, he clearly was a liability from closer range. The Cowboys have to decide if his overall game makes him a bigger threat to the opposition or to themselves. The Cowboys might be willing to hope for improvement in the short and mid-range kicking with Maher now being the full-time starter. 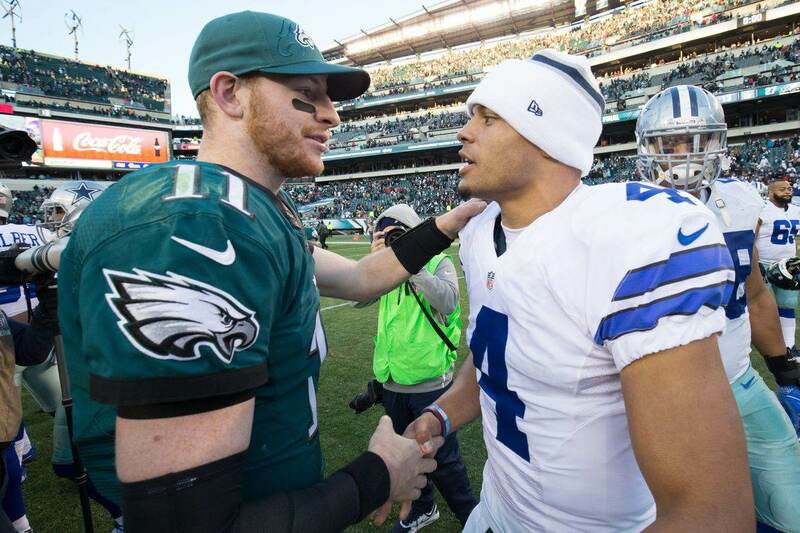 Last offseason, he was just here to give Dan Bailey some occasional rest. But now he's the man, and the increased work with Chris Jones and L.P. Ladouceur could make a difference. But even though Maher is just breaking out in the NFL, he's still 29 years old. He's been in offseason program with the Jets and Browns before, and even the Cowboys back in 2013. He's also kicked in the CFL. Brett may just be what he is at this point, and the Cowboys can't be too flippant about the kicker position as they eye a return to the playoffs next year. A single kick can make all the difference in a game, and one game can mean everything in the NFL. Dallas might be able to do better with some of the impending free agents this offseason. If they don't get re-signed before March, veterans like Matt Bryant, Robbie Gould, Jason Myers, and Josh Lambo are all set to be on the open market. They all hit 90% or better on their field goals last season. To get any of them, the Cowboys would have to pay a lot more than the $570k that Maher is due in 2019. They would likely be paying at least $4 million, which is about what Dan Bailey was making his last few years here. But if your entire season can come down to one kick, how much do you really trust Brett Maher to make it? That's the big question for the Cowboys, and they need to decide before the top kickers in the game all get jobs elsewhere. Maher had big moments last season, but does his overall game really make him trustworthy going forward?